Join us for Spook-a-Palooza! It’ll be Creatures, Cuties, and Candy Galore, in the Village of Spring Lake this Halloween. 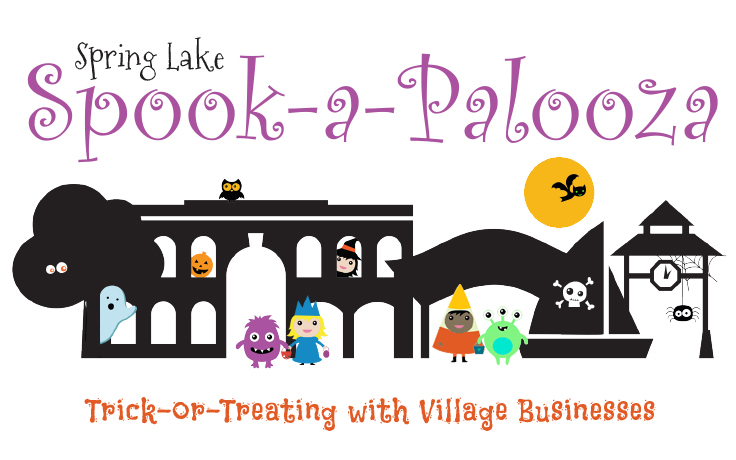 All Spring Lake Village Businesses with the “Spook-a-Palooza” sign in their window will be handing out tasty treats to their young customers in costumes. Come be a part of the fun!